Happy Monday all! Today we are are piling some cute critters with stacks of gifts to bring you today's Stamp Highlight! 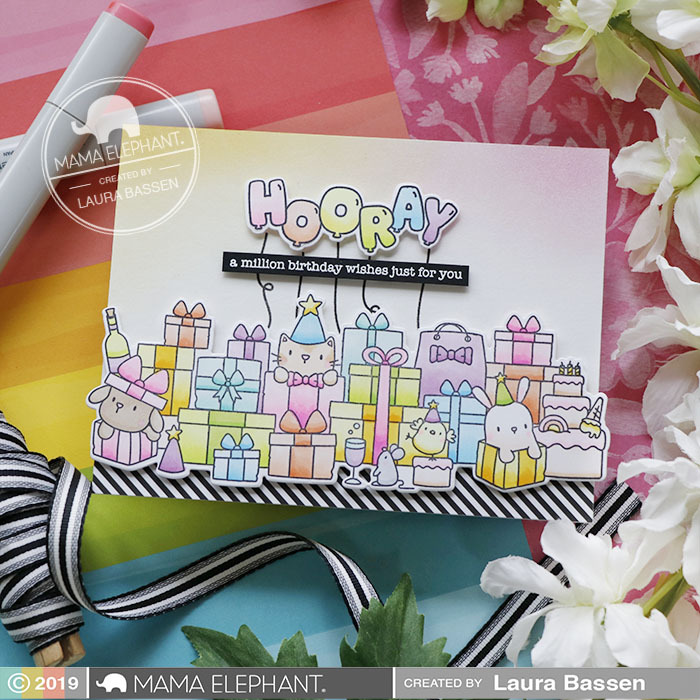 The Birthday Bash stamp set is so much fun to color and it is just so festive! 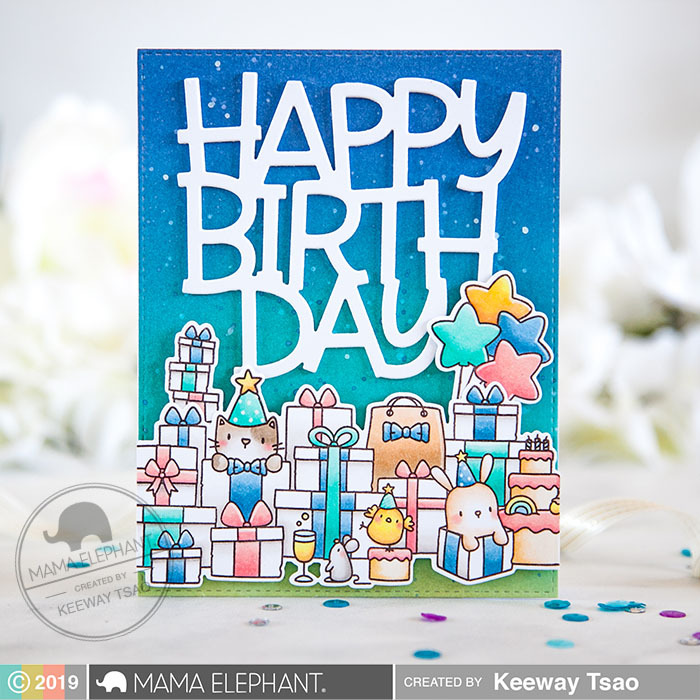 Keeway combined the Birthday Bash set with the Big Happy Birthday Creative Cuts to create a fun birthday card! 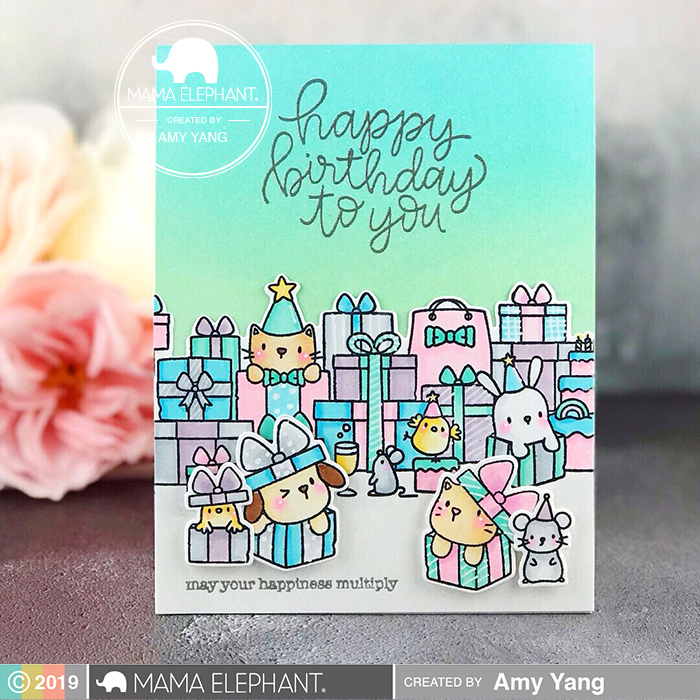 Amy created this fun scene using the new Birthday Bash set along with the matching images from our Yappy Woofmas and Trim The Tree. Laura combined the Celebration Balloons set along with a sentiment from Birthday Messages to create this fun scene. We are thrilled to have Mette Witus Guest Design with us this month! She used the Birthday Script Creative Cuts along side with the Birthday Bash set! 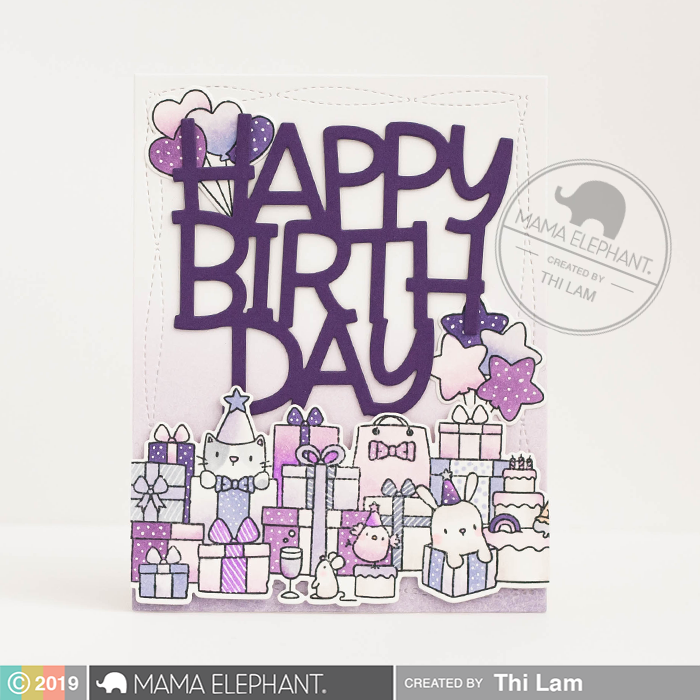 We simply adore this purplicious card Thi made by combining The Birthday Bash with Big Happy Birthday - Creative Cuts. 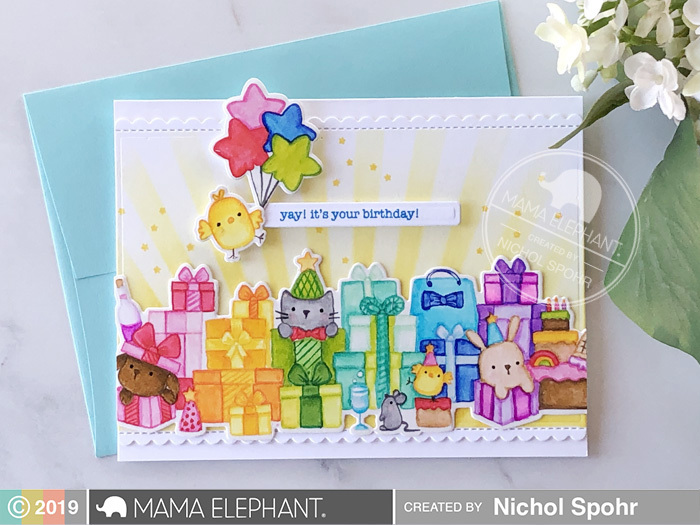 Nichol created a simple stenciled background of sun rays to highlight the rainbow no-line coloring of The Birthday Bash images. 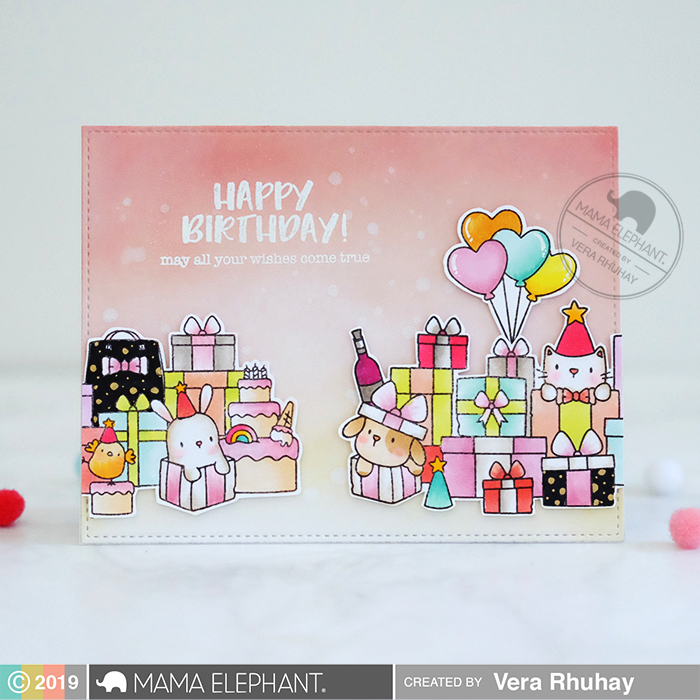 We love how Vera cut The Birthday Bash image into two pieces to create this cute birthday card. So many wonderful and colorful inspirations!! The coloring by all the DTs is just FABULOUS! Great set!!! 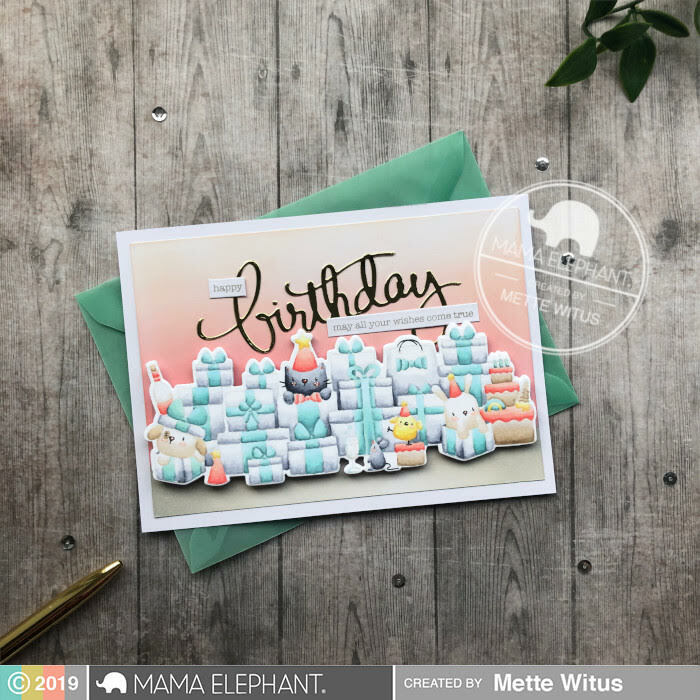 Love this fun stamp set and the Big Happy Birthday die... two of my faves! 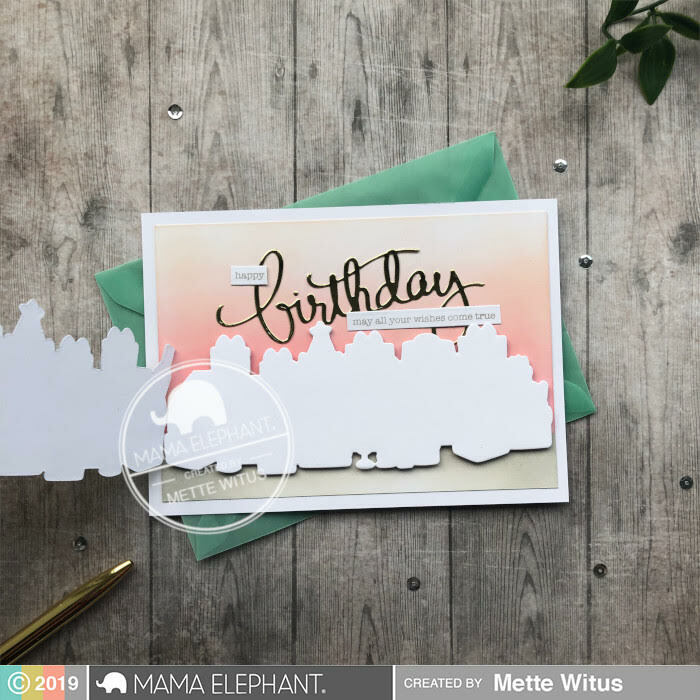 Love the different coloring ideas for the Birthday Bash stamp on these samples!